Spanish Name: ALEGORIA A LA PAZ - Limited Edition (6) - Sold to private collector in USA - 28 December 2012. - - Lladro Online Auction (signed by Juan Lladro) SOLD 10 December 2008 @ USD $50,000. Exclusive to... President Ronald Reagan, His Holiness Pope Paul VI, His Excellency Generalisimo Francisco Franco, Prime Minister of West Germany - Chancellor Willi Brandt and YOU, subject to prior sale. 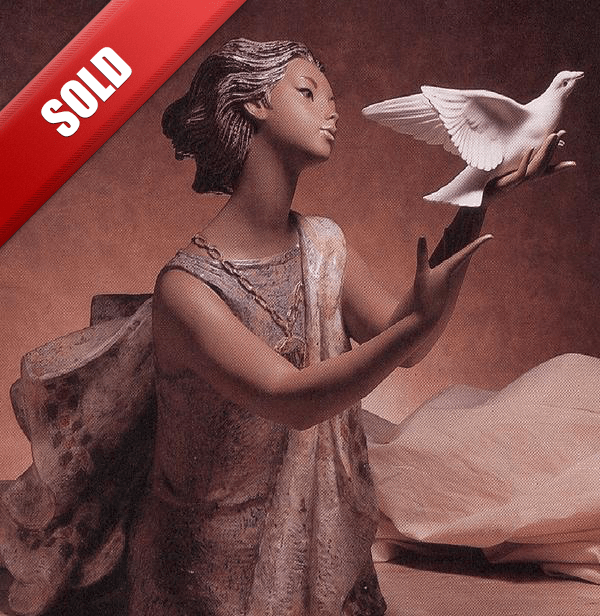 Lladro Online Auction (signed by Juan Lladro) SOLD 10 December 2008 @ USD $50,000.